Move approved expenses to your completed area by processing the expenses in the Finance area. Once an expense has been submitted and approved, further processing is required before it can be completed. Navigate to Finance area and focus on the Approved section. This area can be described as your "to-do" list. This is where all of the expenses that have been approved but haven't yet been processed will reside. 2. The expenses will be split out into payment method. 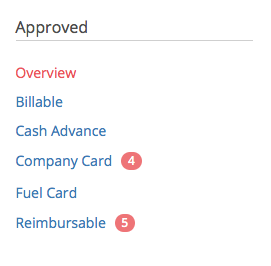 You can click on Reimbursable, for example, and see all of the reimbursable expenses. 3. 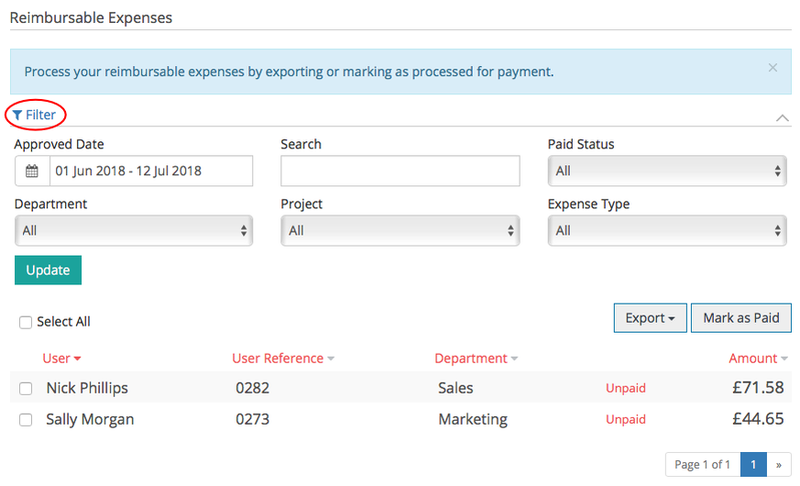 You can filter the expenses down to find the exact ones you require by clicking on the filter symbol and selecting the various filters you wish to apply. 4. You can click the user's claim to expand their expense and check the details. Add or Clear any policy issues. 5. 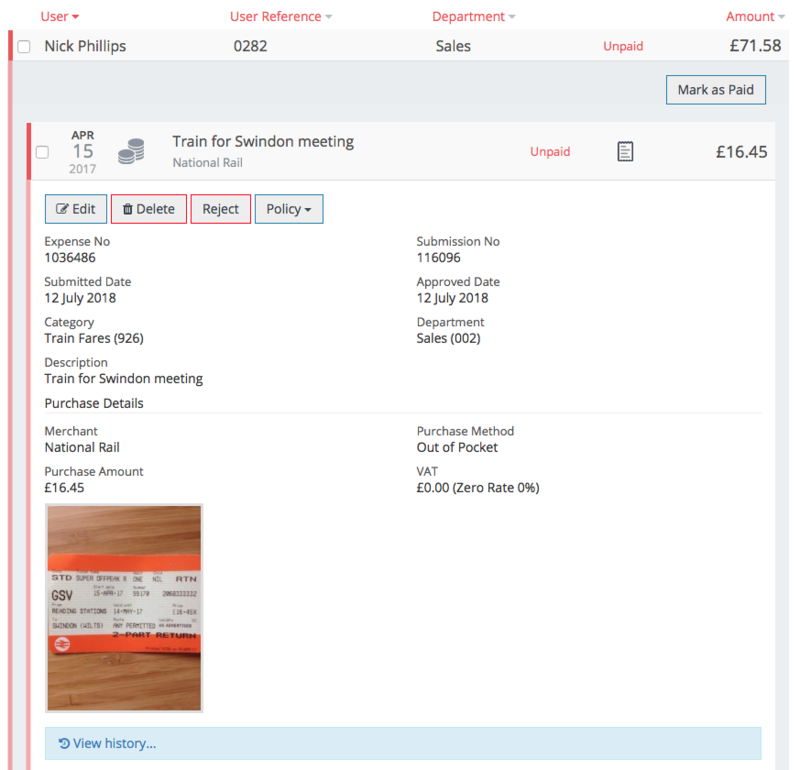 You can process the expenses by selecting them and Marking them as Paid/Reconciled. This will move the expeses from the Approved area to the Completed area. Please note: If you have any billable expenses, you will have to mark them as Billed and mark them as Reimbursed in the corresponding section in order for the expense to be moved to the Completed Section. If you have an accounting package, payroll or ERP systrem, you may want to export your expenses to CSV at the same time as processing them. You can customise your CSV export format to reflect your package's requirements. Check out our Add export formats article for information on how to add export formats to your account. 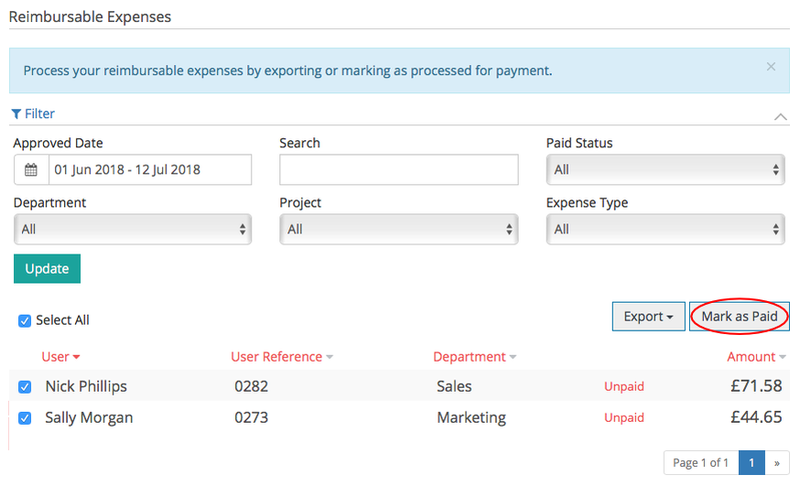 Check out our Exporting expenses to CSV article for more information on how to export expenses to CSV using your export format.